Delighting consumers all over the world, KitKat brand is a favourite chocolate treat thanks to its light wafer texture and delicious chocolate taste, freshness and variety of formats. A perfect snack to enjoy as part of a balanced diet. 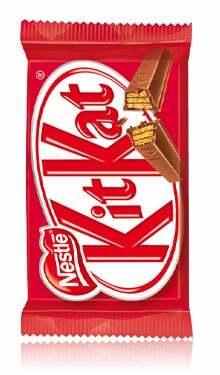 KitKat brand offers smaller portions (e.g. 80 Kcal) or bite-size formats (e.g. KitKat Pop Choc brand) for those wanting a light, bite-size treat. Learn how Nestlé’s long-term commitment to The Cocoa Plan is helping improve the quality of life for cocoa farmers and their communities.